Just when the Malaysian Chinese are gearing up for the Lunar New Year celebration, security guard Ah Beng receives a call from his company. He is asked to cancel his Lunar New Year holiday for a "simple" mission, which infuriates him. However, Ah Beng immediately changes his mind when he discovers that the mission promises a handsome reward of RM1 million. 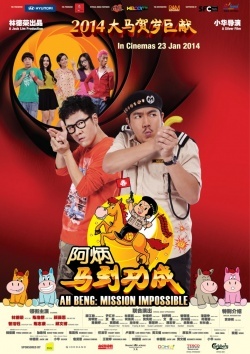 How will Ah Beng solve this impossible mission? Will he succeed? To fulfill the mission, he must go to South Korea.